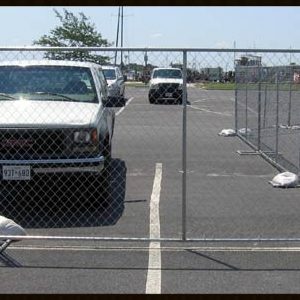 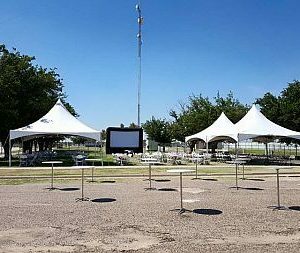 Our temporary party fencing sections are rented by section. 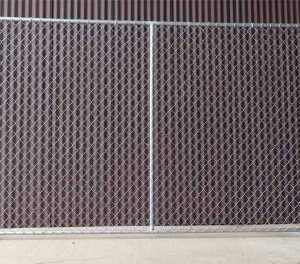 Each section of fencing is 10 feet wide x 6 feet tall. 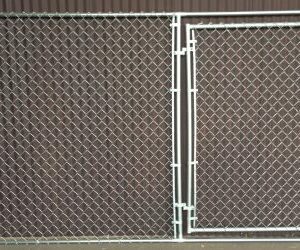 Fencing Security Gate Sections are 10 feet wide x 8 feet tall with a 4 foot gate entry. 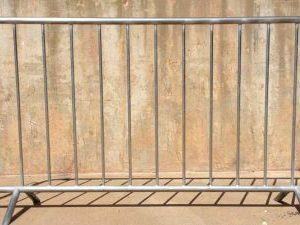 Fencing sections are bolted together at the joining points for more security.